"The racing world is changing..."
Here we have another Cars 3 1:55 scale diecast review...this time featuring Natalie Certain! 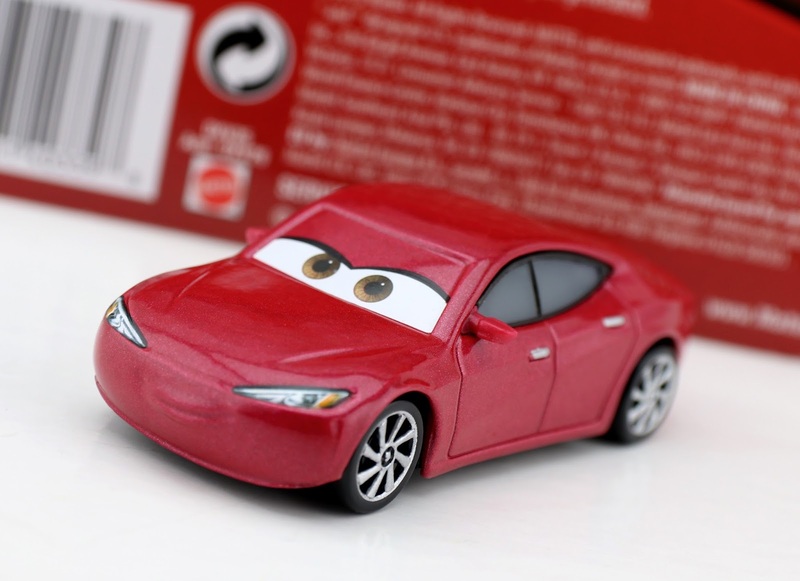 She was released on the official Mattel Cars 3 launch day of May 1st and is currently available in this single pack and a 2-pack with Chick Hicks with headset. In the film, as shown in the screenshot above, Natalie is one of the top and most highly respected racing analysts/statisticians working for RSN (Racing Sports Network). Her official bio states: Book-smart and mathematically gifted, Certain is a fresh voice in the racing world. While she may earn top marks in her ability to evaluate a racer's stats, she could be underestimating the importance of determination. Though this, admittedly, isn't the most exciting design or release (it's one of those where it's like "don't I have several characters who kind of look like her? 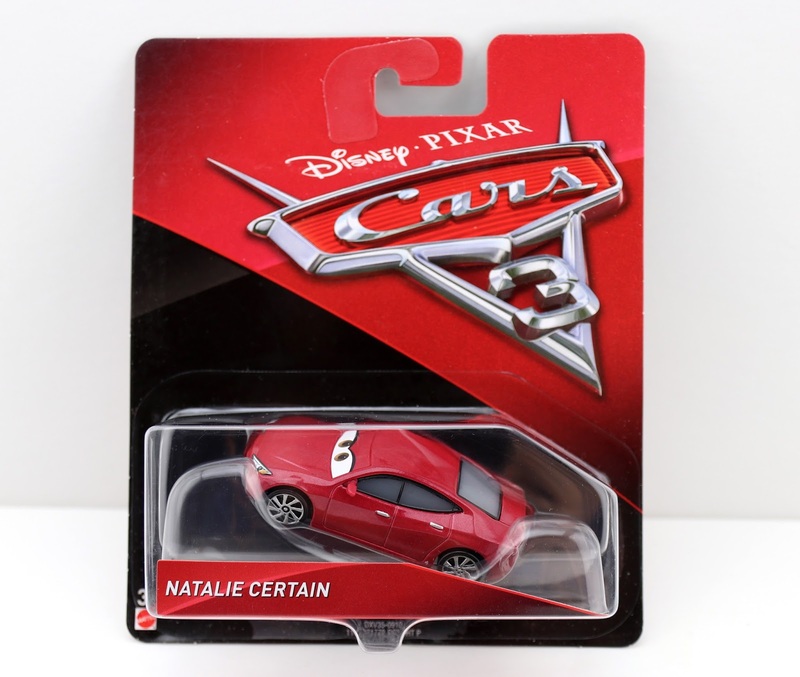 "), Natalie Certain is still a must have for Cars fans and collectors. I wouldn't consider her a main character per se, but she's definitely a reoccurring one with a decent amount of screen time; one who shares some important info for us audience members. If your area is anything like mine, then you won't have much trouble finding Natalie in stores (whether this single pack or the 2-pack). Despite being released almost four months ago, she's still hanging on those pegs! If you'd rather just pick her up for your collection online, visit THIS DIRECT LINK to current eBay listings or check out Amazon using the link below. Happy hunting out there! 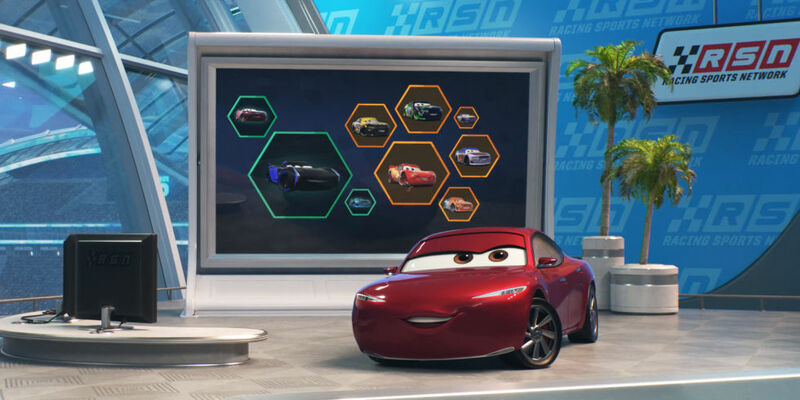 Be sure to let me know your Cars 3 findings/success stories in the comments below.